From prototypes to high volume production, PCM Products provides tight tolerance photo chemical machining for most metals and alloys under 0.100" thick. 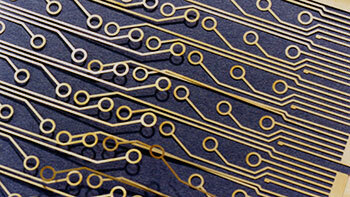 Our photo chemical machining process is capable of etching simple or complex designs of multiple thicknesses. 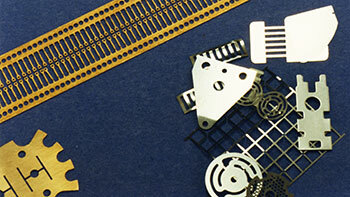 Since the production dies are resistant to wear, each burr-free part is identical without work hardened edges. PCM Products’ photo chemical machining process does not affect the material’s internal structure or chemical properties, such as harness, grain structure & ductility. 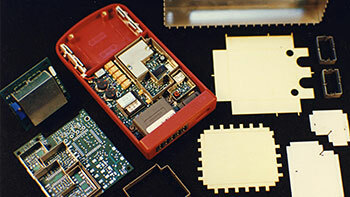 Tool Modification - Photo Chemical Machining allows the designer to make tooling changes in a matter of hours. Quality Control Equipment - (2) OGP Smartscopes. SmartScope™ FOV video measuring system which incorporates a high precision XYZ stage assembly with joystick control, motorized zoom lens, integral illuminators, and a high resolution video system. Material Thickness - Between 0.00001" and 0.125"
Tolerances - Tolerances can be held to +/-0.0002 of an inch (0.005 mm) depending on thickness of material. 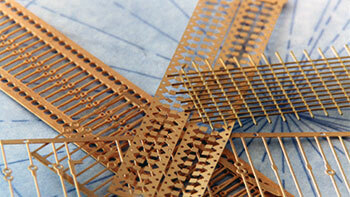 Low Tooling Cost - Photo-tools are produced using CAD design and laser photo plotting for fast economical design.